Do Mortgage Inquiries Affect Credit Score? When preparing to take out a mortgage, you may have concerns about your credit report being pulled numerous times within a short period of time. This can occur while shopping for that perfect mortgage with multiple mortgage lenders or mortgage brokers over the span of a few weeks or even months. But while mortgage inquiries can certainly add up, they won’t necessarily lower your credit score or affect your ability to obtain financing. It’s Okay to Shop Around! The developers of the FICO score know how mortgage shopping works, and have adjusted their super secret algorithm to count multiple mortgage inquiries in a certain time span as a single inquiry. This time period can range from 15-45 days, depending on which version of the scoring formula is being used; the latest allows a 45 day shopping period, the oldest just 15 days. So you could have your credit pulled by 10 lenders in a week and it would only count as a single inquiry. If your mortgage shopping spans a few months, it will look back at older inquiries grouped together in those typical shopping periods and treat them as a single inquiry. 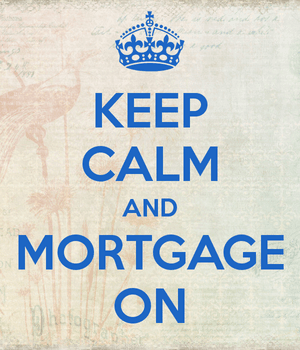 Additionally, FICO ignores mortgage inquiries made in the 30-day window prior to scoring. Either way, one credit inquiry will likely only lower your credit score by five points or less, so it may not even be a concern if you already have a solid credit score. Of course, mortgage inquiries can and will affect consumers differently based on their credit profile, so there’s no absolute rule. For those with limited and blemished credit history, a mortgage inquiry will probably have a larger, negative impact, while doing very little to affect a consumer with years of solid credit history. This is yet another reason to strive for the best credit score possible. You might need a little buffer just in case your scores do drop as the result of some hard inquiries. What If Your Credit Score Goes Down? If you find yourself just below a certain credit scoring threshold, you may be able to use an older credit report if all the information is the same other than the mortgage inquiries; or you can ask for an exception from the lender. After all, it wouldn’t be fair to penalize you simply for shopping around for the lowest mortgage rate, now would it? Alternatively, you could take a few quick actions to boost your scores, such as paying off some debt to reduce your credit utilization. Your loan officer or broker should have skills in this department to help. I personally think FICO should expand this shopping period and make it 100% clear that prospective buyers and existing homeowners won’t be punished for rate shopping. However, keeping outstanding credit balances low and paying bills on time is far more important than worrying about mortgage inquiries. And your main concern should be securing the best possible mortgage, not fretting about a few points on your credit score. One final note: Do not apply for any other form of credit (credit cards, auto loans, etc) before or during the mortgage shopping process; these can definitely drag your credit score lower, potentially knocking you out of the running for that mortgage. They can even bump up your debt-to-income ratio! And check your credit score long before shopping for a mortgage to avoid any last-minute surprises (pulling your own credit will not lower your score because you’re not applying for new credit). Read more: What credit score do you need for a mortgage?